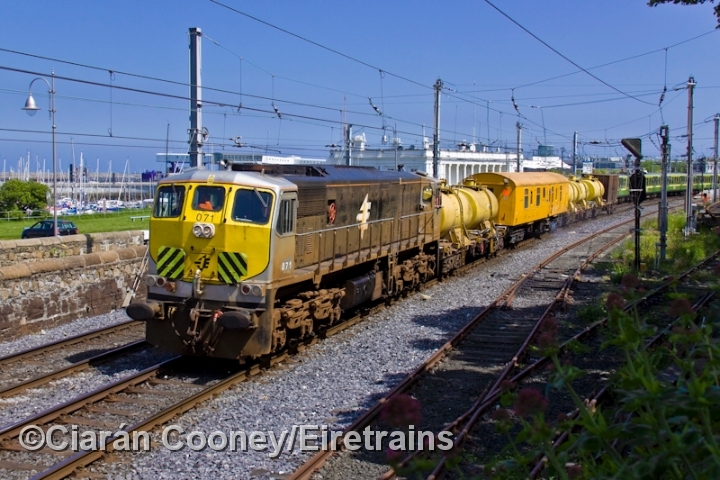 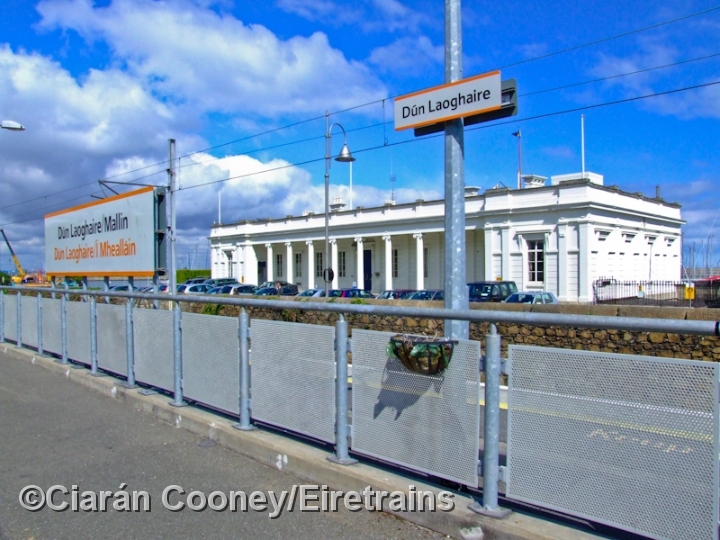 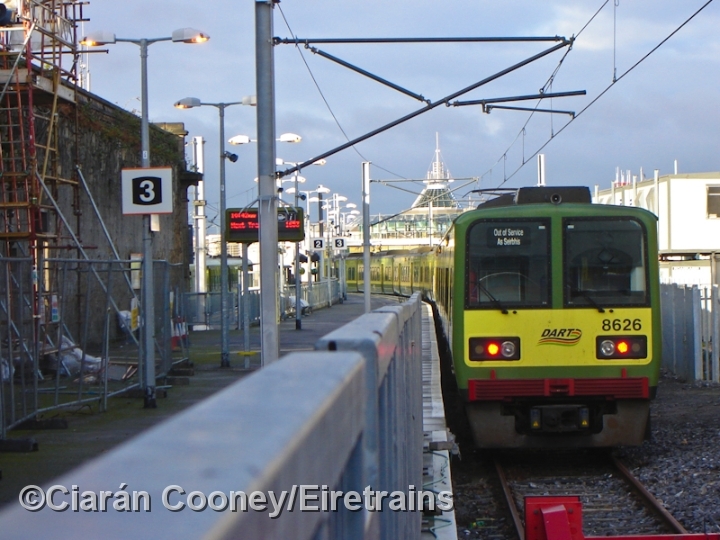 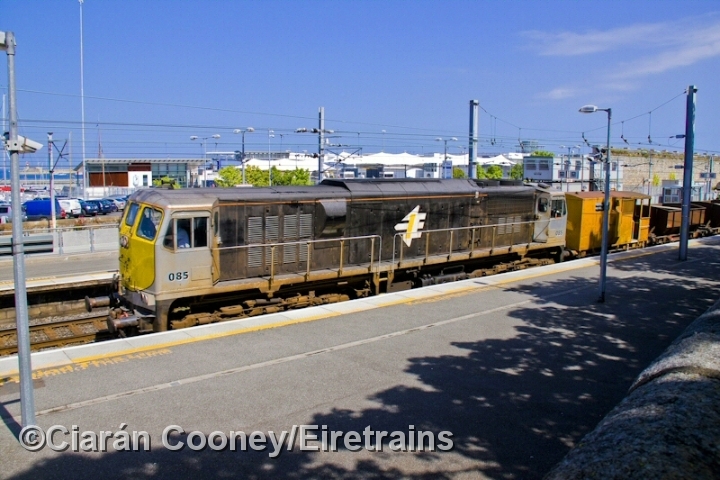 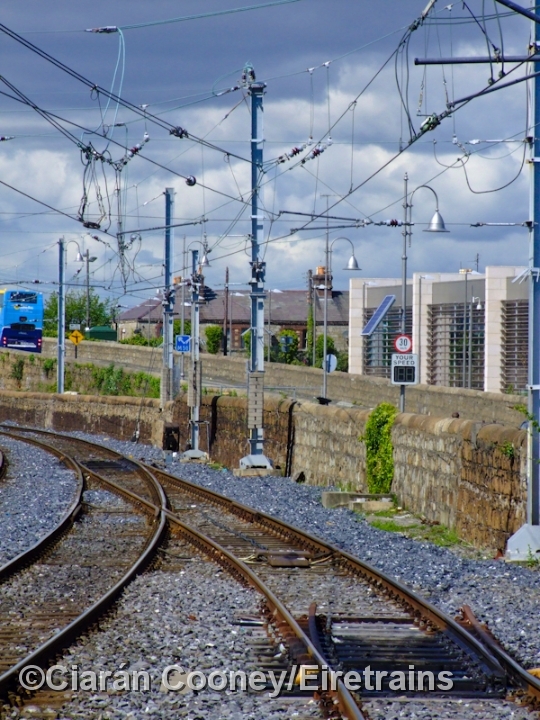 Dun Laoghaire, located on the south side of Dublin City and internationally famed for its harbour, was the terminus of the first railway constructed in Ireland. 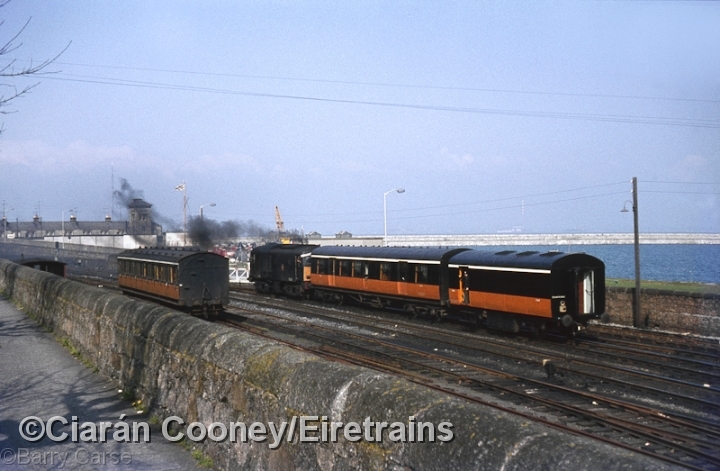 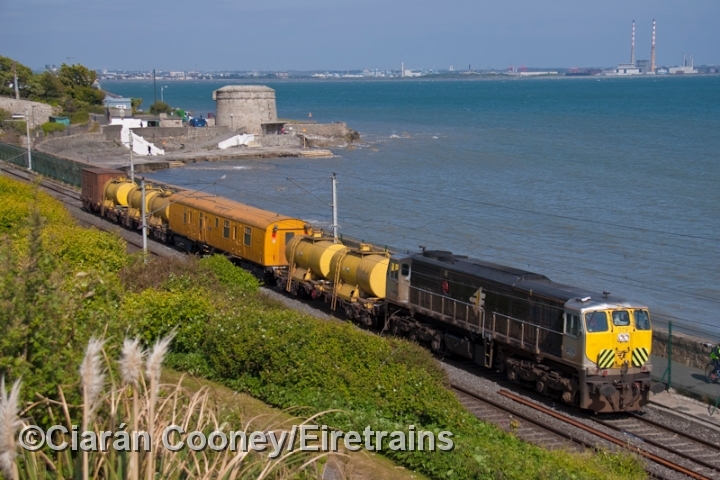 Although proposed as early as 1829, the Dublin & Kingstown Railway (as Dun Laoghaire was original known pre-1925) opened its line from Westland Row (now Pearse) to the harbour town in 1834. 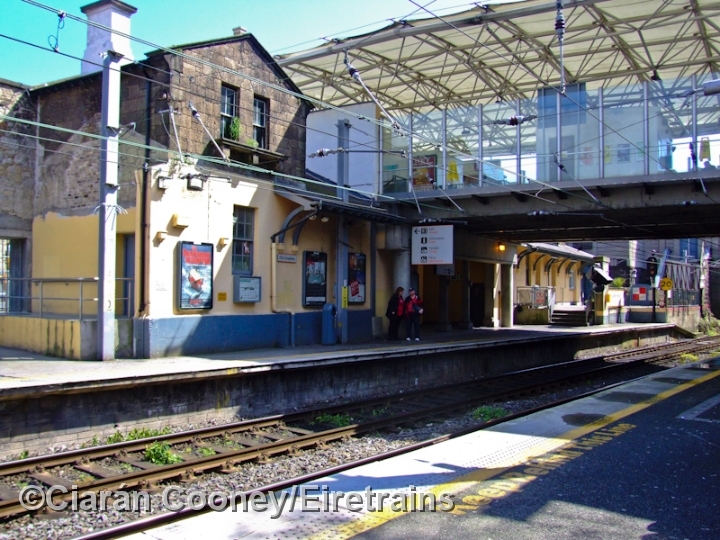 The line terminated in a singe platform (now platform 3) with an overall roof. 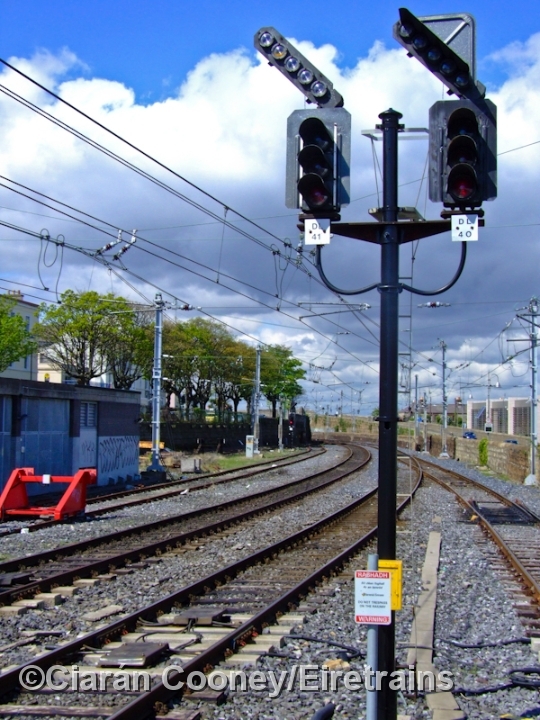 The D&K granite built station building was located on the south side at road level. 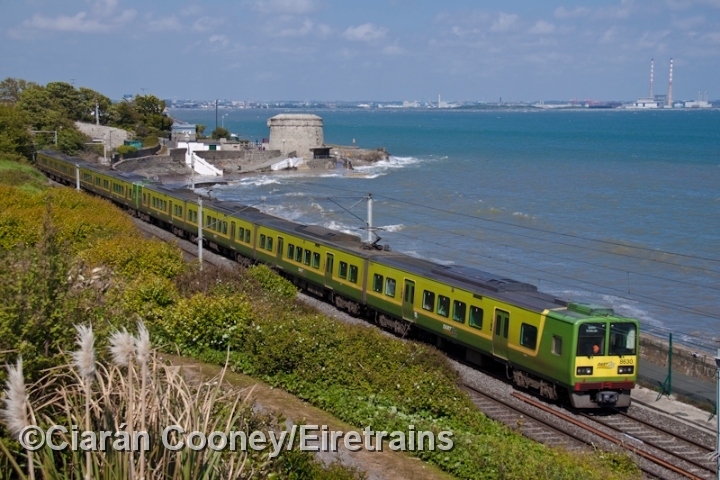 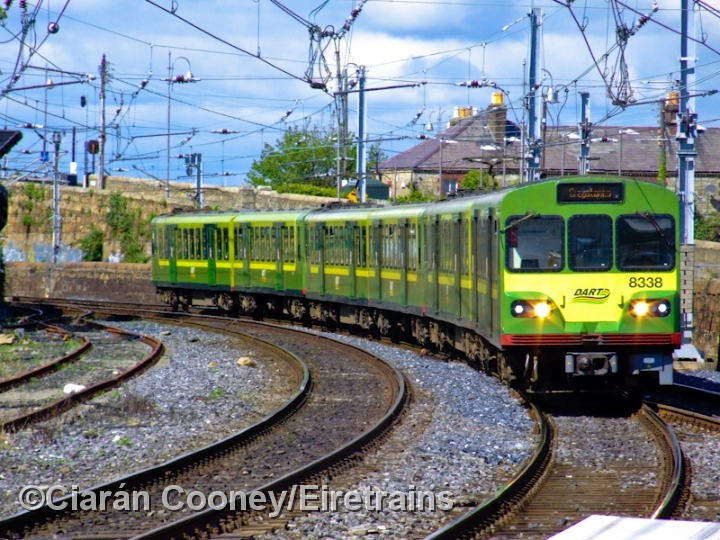 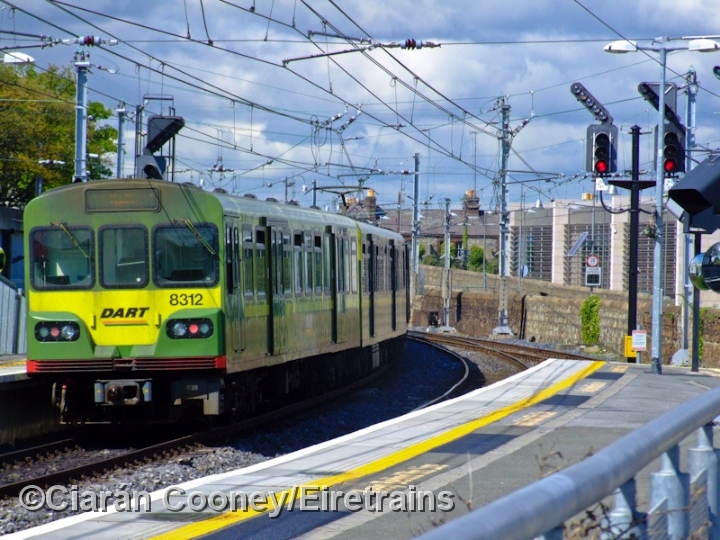 Here it met an already existing tram line constructed further south at Dalkey Quarry which had begun operation in 1817. 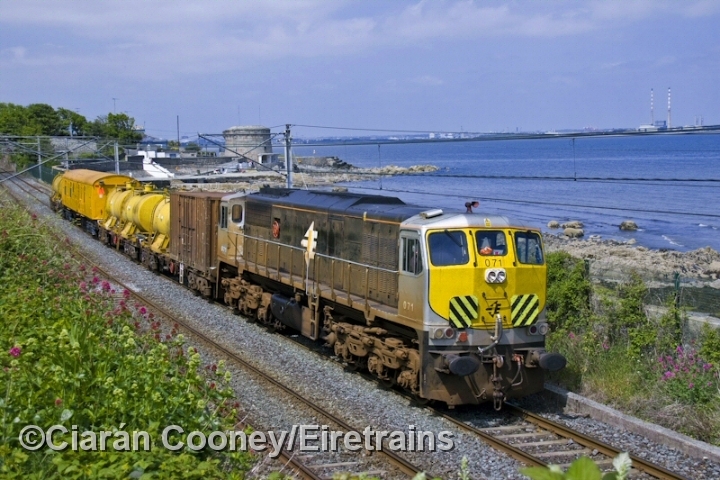 In 1844 however, the Dalkey Quarry line was converted to a revolutionary and complex atmospheric operated railway, one of the first in the world, which terminated at a single platform adjacent to the D&KR terminus. 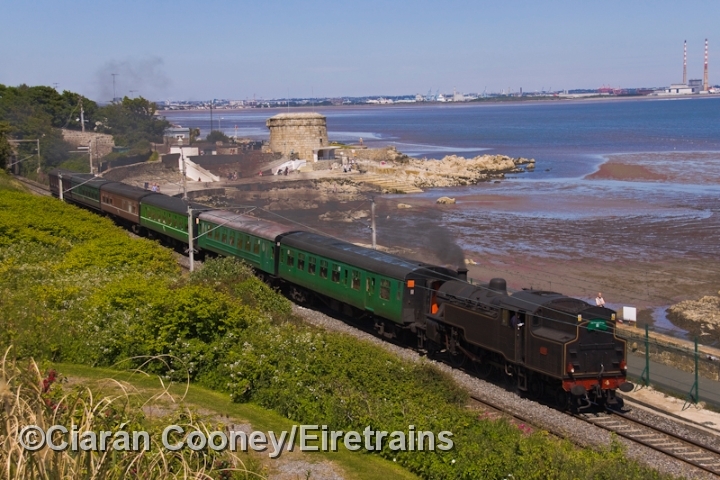 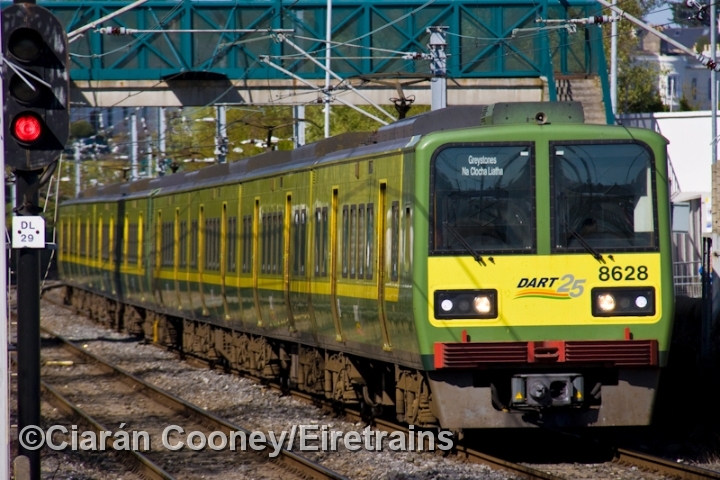 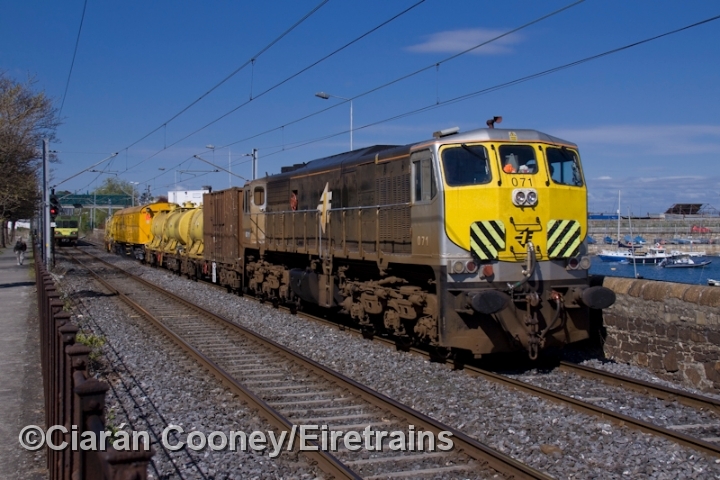 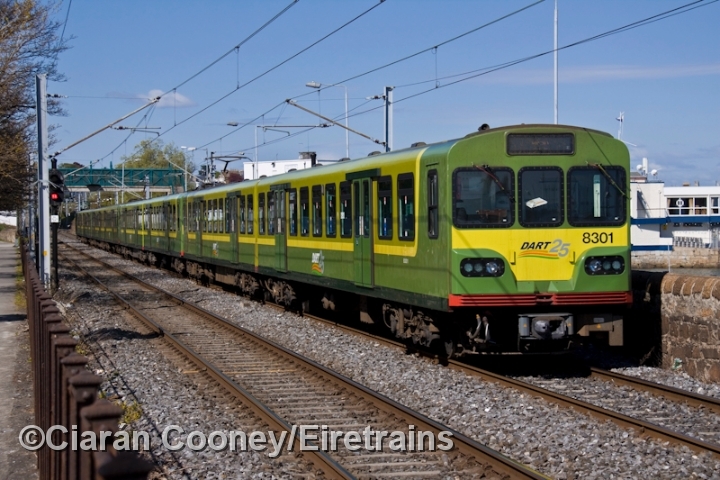 During this time the D&KR had become the Dublin & Wicklow Railway, who later converted the atmospheric line to conventional railway use in 1854. 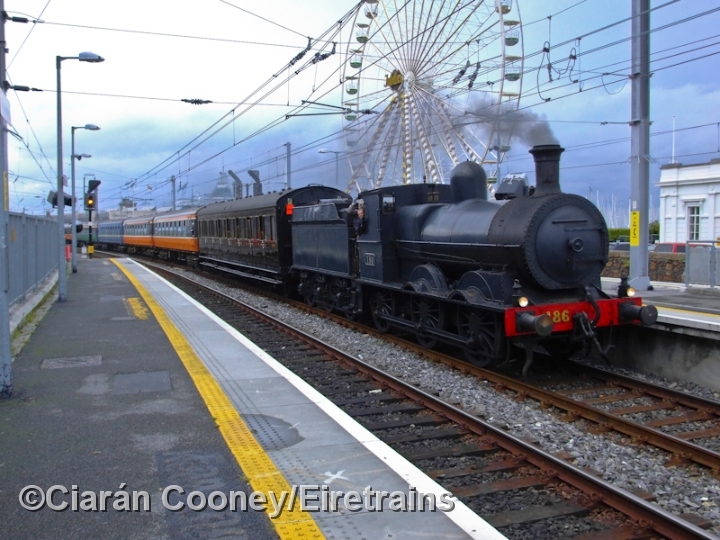 The D&WR had also added additional station buildings to Dun Laoghaire in 1844, and in 1859 constructed the short branch to Carlisle Pier which diverged just south of the station. 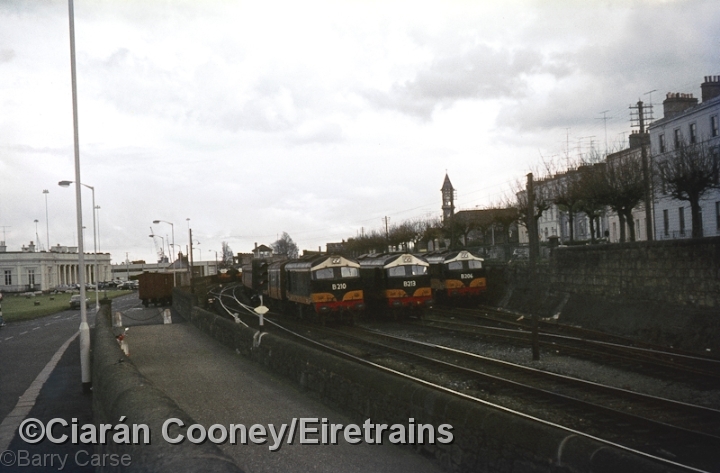 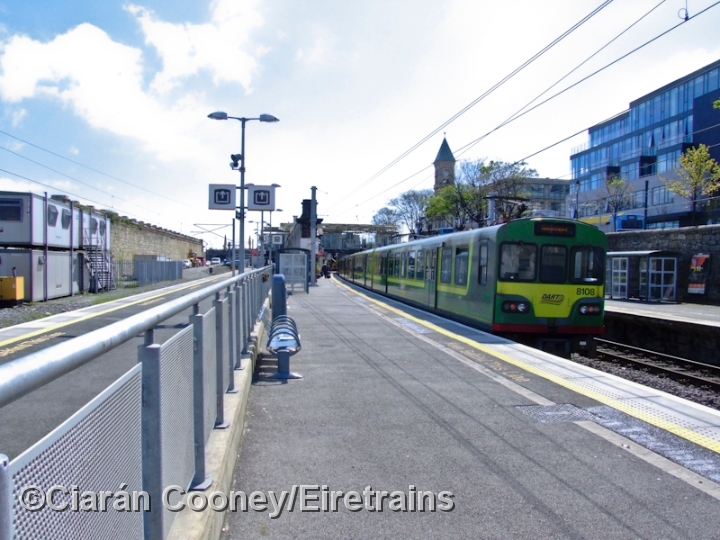 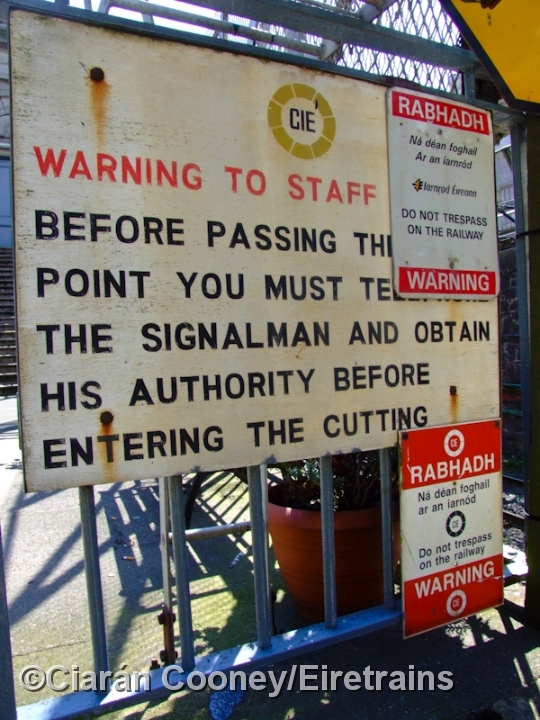 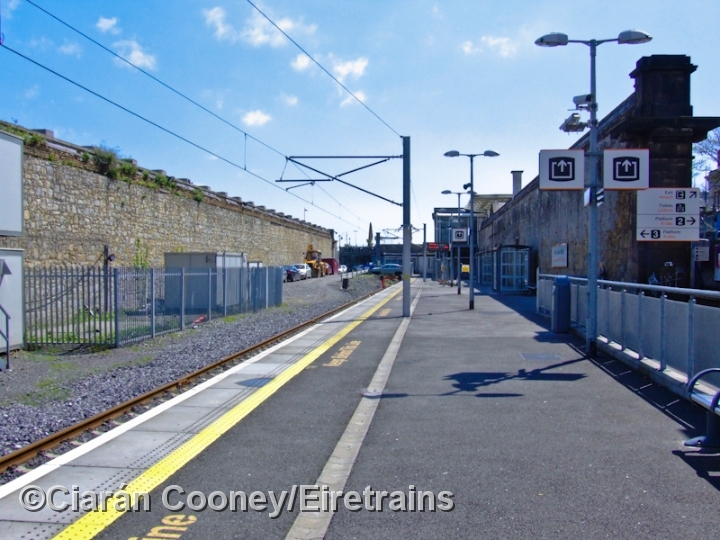 Also at the south end of the station was short section of single track and it wasn't until 1957 that it was doubled, along with providing an additional platform to give it Dun Laoghaire Station conventional up & down platforms. 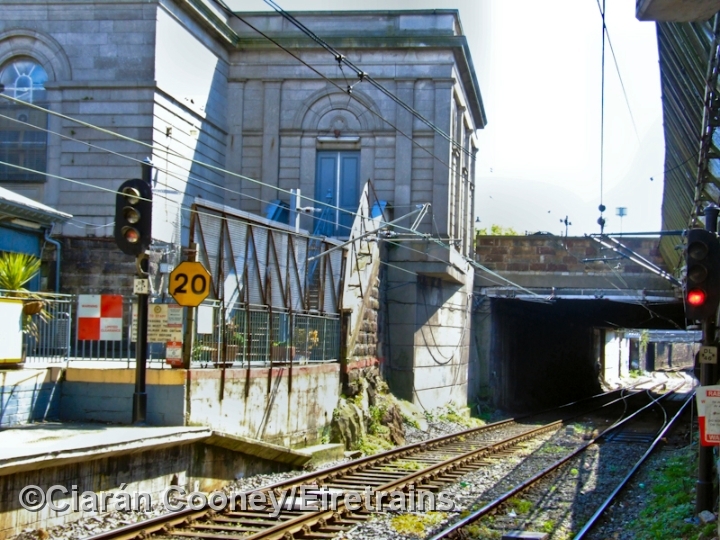 Although the 1834 D&KR station building was sold, the D&WR one remained the main booking office until 2000 when a modern elevated glass structure was built across the line.